Juris Jurjevics is a legend in the publishing world. Full stop. 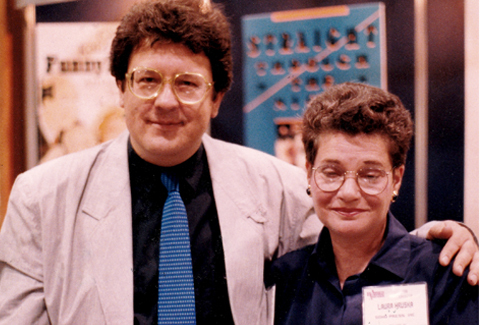 When he started Soho Press with my parents, Laura and Alan Hruska, back in the mid-eighties, he had already made a name for himself as one of the best editors in the industry in New York. In those early days, he brought Soho true credibility, and with Laura, he went on to discover and edit exciting new voices including Edwidge Danticat, Jacqueline Winspear and Dan Fesperman. By the time I joined my mother at Soho in 2008, Juris had left to pursue writing full-time. But to this day, people still ask me about Juris at conferences and publishing events. Juris and Soho are forever fused. He may have left publishing in body, but his soul never really did. Over the years, we’d have lunch every six months or so, and he would come hungry for industry gossip. But without fail, he would have more of it than I did and would end up regaling me with stories past and present of publishing greats. Lunch with Juris never lasted less than three hours—the man knew how to tell a story, and he had so, so many good ones. After Laura passed away in 2010, Juris was my lifeline. He’d left Soho four years earlier, but it didn’t change the fact that he was the remaining Soho brain trust. He knew the history. So when I’d receive a baffling letter or email from an author, I’d call Juris and he’d direct me to the exact spot in the file cabinet where the necessary folder lived and talk me through the correspondence until everything made sense. He knew the legal issues, the ins and outs of ancient contracts, and the details of all the old editorial battles. In those first days—okay years—when I was running Soho, I relied on Juris, and he was always there for me. It was what allowed me to feel that I knew what the heck I was doing. Until slowly, slowly, I actually did. When I had finally finished my first book, Accelerated, my mother was too ill to read the manuscript. She said, “Ask Juris to read it. And do whatever he says.” I did ask Juris, and he didn’t hesitate to say yes. His notes were spot on. Okay, he was brutal as an editor—there is no sugarcoating it. But I appreciate his help more than I think he could have known, because on the flip side, when he said he liked your work, you knew he meant it. His notes made my book better, and I am forever grateful for that. Juris was generous with his time, his editorial help, and his stories. His delivery was quiet, gentle, and dry as a bone, and if you weren’t paying attention you’d miss his devastatingly funny asides. This is why lunch lasted three hours—it was simply a joy to spend time with him.